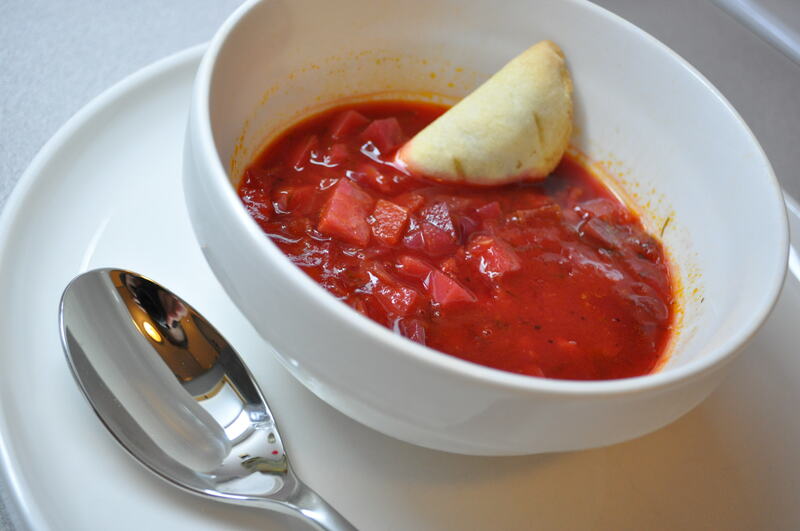 This is a variation of Polish Barszcz and Russian Cabbage Borscht soup. For a soup, half the potato and cabbage. Recipe adapted from The New Moosewood Cookbook. Place potatoes, beets, water, and stock in a medium-sized saucepan. Cover and cook over medium heat until tender (20-30 minutes). Meanwhile, melt butter in a large stock pot over medium. Add onion, caraway seeds. Cook over medium heat, stirring occasionally, until the onions are translucent (8-10 min.). Add celery, carrots and cabbage, plus 2 cups of the cooking liquid from the potatoes and beets. Cover and cook over medium heat until the vegetables are tender (another 8-10 min.). Add the remaining ingredients (including all the potato and beet liquid), cover and simmer for a least 15 min. more. Season to taste with salt and pepper. I’m so glad I found this recipe. After eating a delicious beet soup today, I’ve been hunting for one I can make myself!